“The Jesus I Know” from Christian Faith Publishing author Philip M. Jarosz examines why modern Christians tend to focus on Jesus Christ as the Son of God. He then profiles Jesus Christ as a man to help the faithful develop a more personal relationship with God. “The Jesus I Know”: A portrait of Jesus Christ the man. “The Jesus I Know” is the creation of published author, Philip M. Jarosz, a former technical writer and legal researcher who now directs his talents towards discovering and proclaiming the truth that is found in Christ. He has received training in spiritual leadership and has served in various Christian ministries along with performing addiction counseling and intervention. Philip lives with his wife Peggy in a New Hampshire Seacoast community where he enjoys woodworking and bicycling along the ocean. 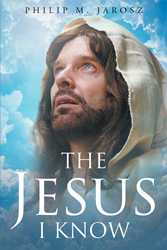 Published by Christian Faith Publishing, Philip M. Jarosz’s new book examines who Jesus was beyond the Son of God. The Divinity of Jesus has been mischaracterized beyond Scripture and, thus beyond truth. Through a faithful reading of Scripture, along with the works of historical and modern thinkers, author Philip M. Jarosz develops a detailed profile of the person he knows as Jesus. He examines Jesus for who he was and who he was not. The source, development, and validity of the doctrines, which have shaped the modern Christian view of Jesus as only the son of God, yet neglect his humanity, are examined. Readers are challenged to explore their own beliefs about Jesus. They will discover that Jesus is a person with whom they are meant to have an intimate relationship with as both God and Man. View a synopsis of “The Jesus I Know” on YouTube. Consumers can purchase “The Jesus I Know” at traditional brick & mortar bookstores, or online at Amazon.com, Apple iTunes store, Kobo or Barnes and Noble. For additional information or inquiries about “The Jesus I Know”, contact the Christian Faith Publishing media department at 866-554-0919.